A high quality beer tankard from Pinder Brothers, one of Britain's longest-established manufacturers of fine pewter and silverware. 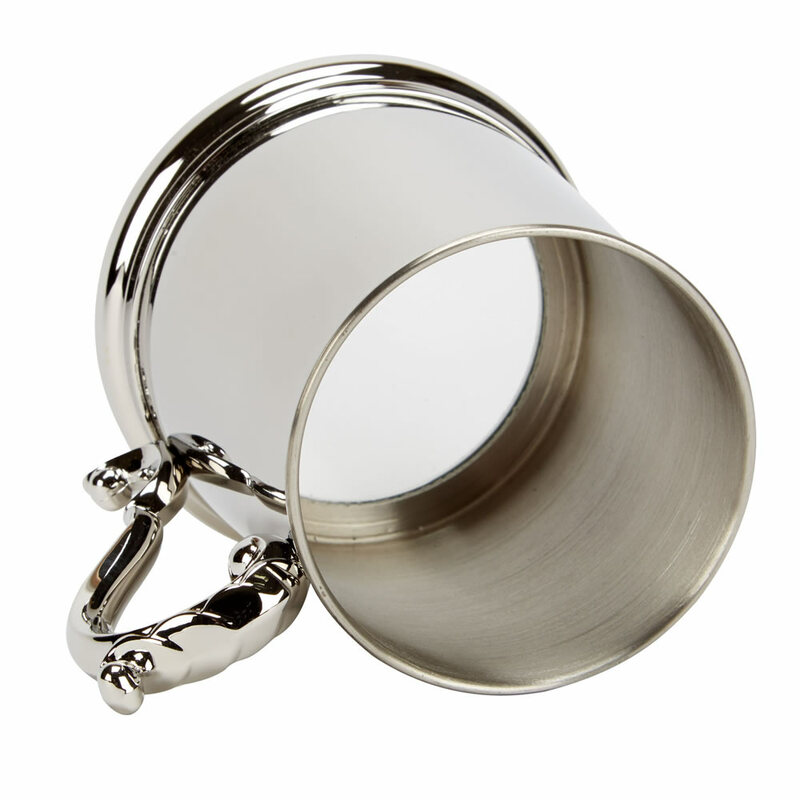 These one pint tankards have a polished stainless steel body with Georgian style handle, and feature a glass bottom. They are ideal engraved as corporate gifts or commemorative awards and are offered here with free text and logo engraving along with bulk order discounts.